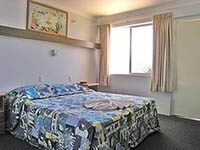 The Bentleigh Motor Inn Coffs Harbour, is a quality three and a half star motel situated in the centre of Coffs Harbour offering overnight and short term accommodation.The Bentleigh Motor Inn Coffs Harbour offers a wide choice of rooms to meet overnight and short term accommodation needs of travelers. Guests have access to off street car parking and lock up garages . 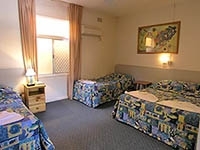 Our 10 ground floor rooms consist of a combination of queen size beds, doubles and singles, and similarly our 23 first floor rooms to meet the needs of singles, couples and families. We also have 2 fully self-contained units sleeping 6-8 persons, with large lounge area and equipped kitchen.Room service breakfast is available from 7:00 am to 8:00 am.